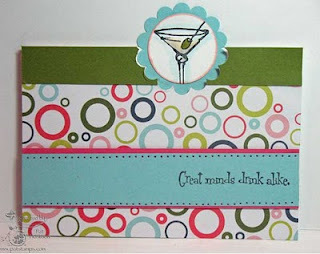 Sweet Circles...and yes, it's a Fancy Fold! 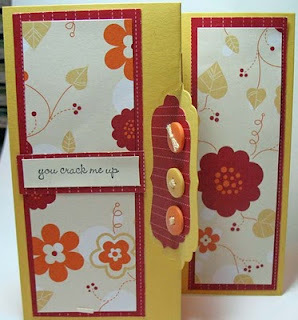 I love this sweet little Circle Tab Card idea. It really highlights the focal image of the card, yet is easy to make and eye-catching. 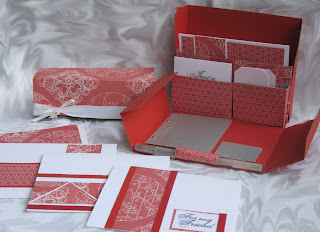 Of course, the dimensions and step-by-step pictorial is on the soon-to-be-released Technique Junkie Newsletter Fancy Folds and Motion Paper Crafts CD. Have you ordered yours yet? If not, click on the link above to order, or if you would like to renew your subscription also, you can order from THIS page. 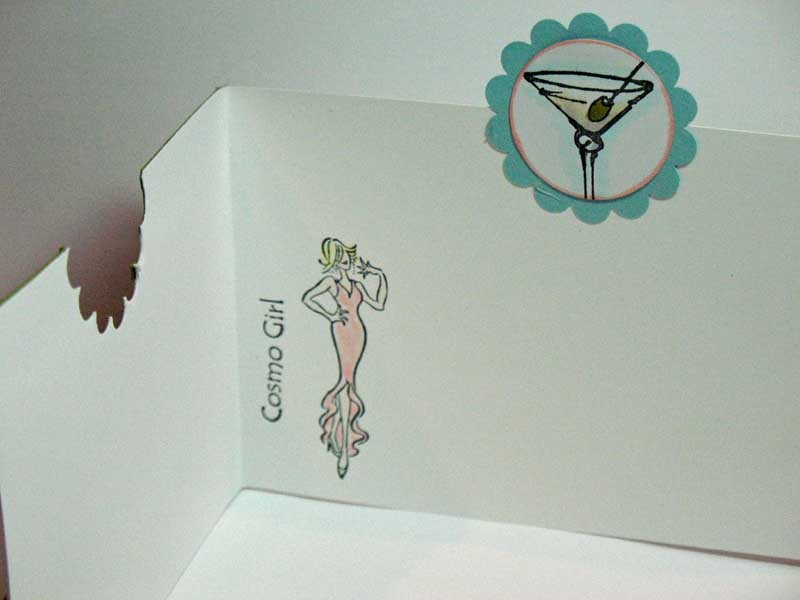 There are all kinds of cards and projects on the CD -- from simple to sublime. Hope you like this one! Thanks for stopping by today -- I will have a new project for you tomorrow, too! I can't get enough of these folds! 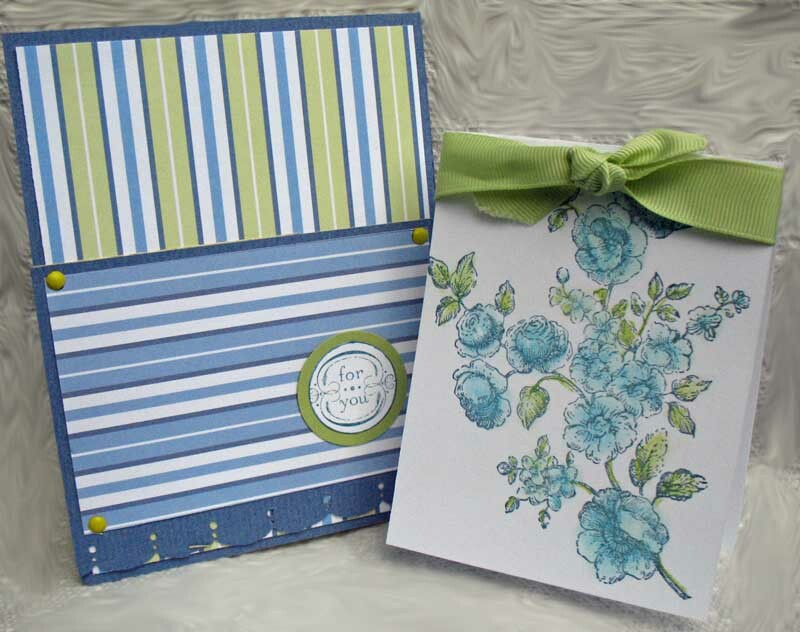 This one is particularly great -- it is a longer-than-normal accordion card that leaves you plenty of space to decorate AND write a greeting to the recipient. I have a hard time taking a picture of this one to capture the beauty of it, so I hope you get the idea. 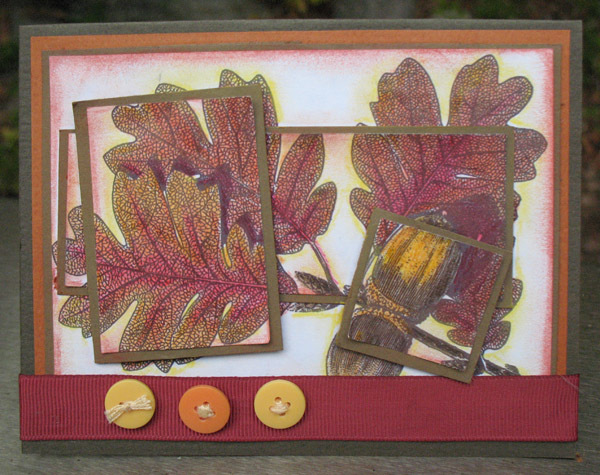 It is a three panel, Vertical Accordion Card from the soon-to-be-released Fancy Folds and Motion Paper Crafts CD. Have you ordered yours yet? You can order it HERE - or renew your subscription at the same time as ordering it HERE. You do NOT need to be a subscriber to order the CD, either. There are 60 Fancy Folds and Motion Paper Crafts Projects on this CD. 30 of them are from the Technique Junkie Newsletter Archives, and 30 of them are brand new for you! All of them are in step-by-step picorial format, and are printable to 8-1/2" x 11" paper. They are friendly to Macs and PCs alike, since they are in PDF format. The Cd will be shipped in early November, so you will have plenty of time to make Holiday Gifts and Cards, too! 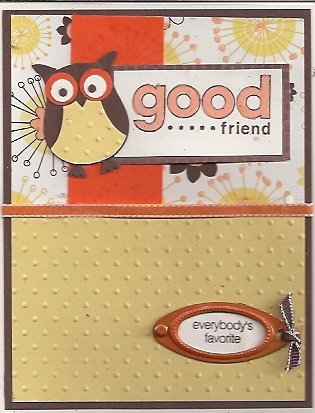 My card was made with Club Scrap Stamps and Paper. Thanks for stopping by today! I guess that question in my parent's time would have been provocative. 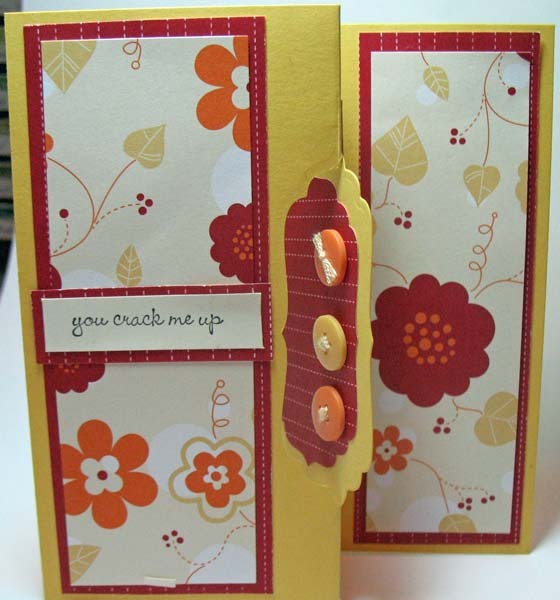 Not here though -- because I am talking about Swing Cards. This Online Bonus Technique is from the October 2010 issue of the Technique Junkie Newsletter, and is also found on the soon-to-be-released Fancy Folds and Motion Paper Crafts CD. Come swing with me! You can order this CD here. If you need to renew your subscription and want to purchase the CD at the same time (or if you just need to renew), you can use my new shopping cart feature on THIS PAGE. 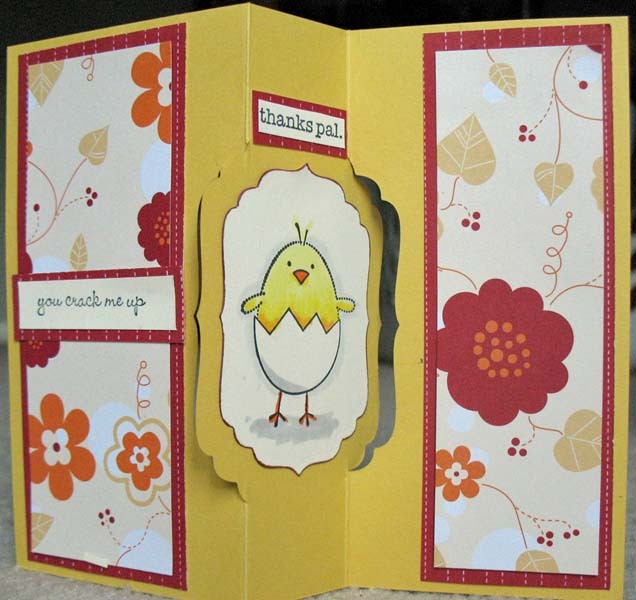 I always wanted to use this chickie stamp outside of Easter -- after all, I bought the Stampin' Up! set for the "You crack me up" stamp -- and when I came across the "thanks, pal" Club Scrap stamp in my stash, I knew they were meant to be together. Hey! I haven't had a giveaway in a couple of weeks -- today's the day! Our sponsor this week is Twisted Papers. Today we are giving away the Victorian Nature Illustrations CD from Twisted Papers, along with the Puzzle Layer Card (Technique Junkie Newsletter, October 2010 issue), above. 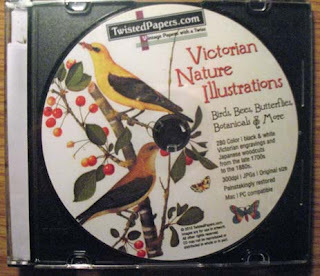 There are 280 images on this CD -- some in black & white (as was used here) and some in color. These images were painstakingly restored and every other one of them is just beautiful as this image. I love this CD and turn to it all the time for images! Being able to print them to any size, color them, use them as-is, etc. makes them extremely versatile. If you have never used a digital image, here is your permission to give it a try! I also love that Twisted Papers includes thumbnail print-outs of the images with the CD. It comes in very handy! You will find lovely images for all four seasons on this CD. If you haven't looked lately, you might be interested in knowing that Twisted Papers has 33 CDs out, too. To enter this giveaway for the Twisted Papers CD (and the card above), simply leave a message on this blog with your email address. I will pick a winner on FRIDAY, October 20th at 9 a.m. EST. Good luck! 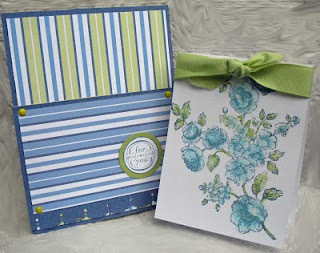 Congrats to Pam Tiedtke, the winner of the CD and Card! Design Junkies: Renewing and Ordering: "Just some quick maintenance...as I slowly add shopping-cart features to my website, I will be announcing their availability here. I am ex..."
Okay. I have a confession. Ready? I used to think I was fold and construction-card challenged. I did. I thought I couldn't do it. But you know what? With good directions, ANYONE can be...um...constructive. So on the new Technique Junkie Newsletter Fancy Folds and Motion Paper Crafts CD, there are plenty of ideas with excellent directions. So you can make something fast and simple -- like the Attached Pocket Card above -- or you can elect to make something more challenging. Either way, I promise you that you will have fun! Okay, so tomorrow I will post something from the October issue and not from the CD... but I am so excited by what you will receive on the CD that I will get right back to it later this week. Hope ya' don't mind! BTW- I am working on a page for you that lists all of the Techniques on the CD. I promise I will let you know the location ASAP. Stationery Box: Cd and Class! I love this Stationery Box. 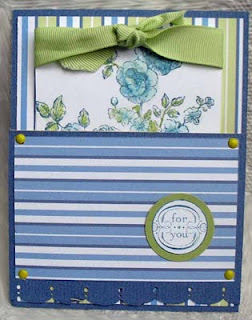 It is remarkably easy to make -- a few pieces of paper, a few cuts, a few folds...and viola! When closed the box is pretty enough, but when opened...it fits cards, envelopes, tags, a little notebook, a pen, stamps, and little note cards, too. It is a gorgeous little package of delight! This box is found on the Fancy Folds and Motion CD, which is available for pre-order now though the link at the end of this post. The CD has step-by-step directions to make the box, with pictures for each step -- all in a printable pdf format, making it simple for you to follow the directions. There are 60 projects on the CD in the same format! I am exhibiting and demoing at the Greater New York Rubber Stamp and Scrapbook Show in Smithtown Long Island on November 6th. 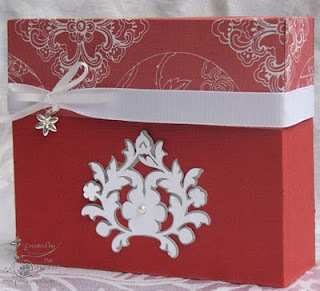 As part of that, I am teaching a class on how to make this exact box! If you are interested in attending the show and/or signing up for the class, I encourage you to visit http://stampsmith.net/newyorkshow.htm for full details. I would love to have you join me! I am fortunate to have Donna Duquette joining me at the show. 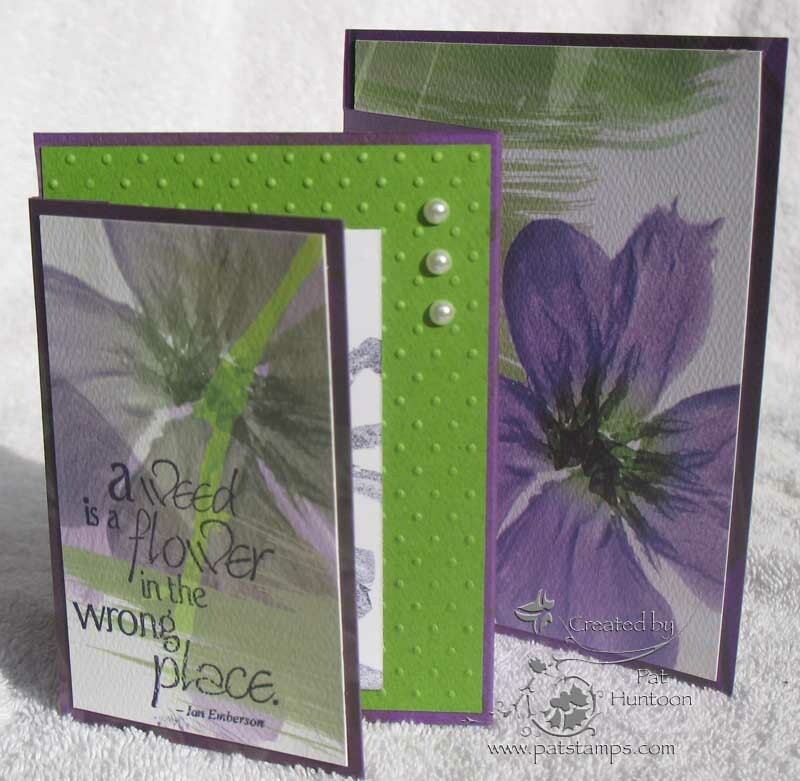 She and I will be demoing several of the new Fold/Motion cards that are on the CD. Come by and meet us! I will be posting new artwork from the CD all month long...make sure to order yours! 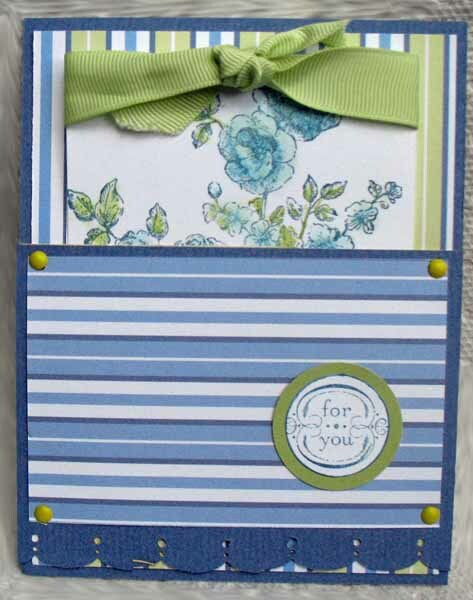 ANNOUNCING....A new Paper Craft CD!! The Fancy Folds and Motion Paper Crafts CD! This CD contains 60 Tutorials for all things folded and motion-related. There are 30 Brand new tutorials on this CD, and 30 from the TJ archives. 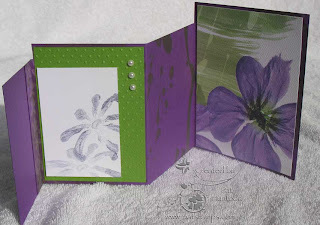 All of the tutorials are in step-by-step pictorial format, and are printable to 8-1/2" x 11" paper. Everything on this CD folds or moves! Of course, there are explicit directions for each tutorial...and fabulous examples from the TJ Design Team. This new CD will ship in November. The CD is $17.95 for US and Canadian Residents (Overseas, $19.95US). Pre-orders start TODAY! Take the Challenge: TJ for LIFE! Hey Junkies! Want to become a Technique Junkie Subscriber for LIFE? Here is your chance! Enter the Technique by Design Challenge and submit your card to us by November 15th -- a winner will be selected randomly from the submissions and they will receive the Technique Junkie for Life prize! That means I send you everything from the TJ archives that you may not have PLUS you receive all future issues and CDs automatically for as long as I publish the newsletter. Come play along and help me celebrate the TJ Newsletter's EIGHTH Anniversary! Lets get down to the details. first, if you started with my blog, stop reading and start the blog hop back at the beginning -- 'cause this here's the last stop, ma'am! 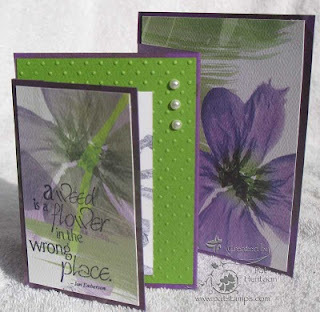 Click HERE to start with Judy Jackson's work on the Technique Junkie Design Team Blog to, then wind your way through our other designer's blogs to get back here. I promise a ton of inspiration for this month's sketch challenge! My card uses this issue's sketch with the Designer Souffle Technique and the Smooched Metal Technique. All of the stamps are from Stampin' Up!. Okay, it is your turn to play! Simply check out the sketch in the newsletter, or check the online issue, and play along. Make sure to use a TJ technique on your card for your entry to be valid. Submit your creations directly to me at phuntoon@optonline.net or to the TJ egroup and you will be entered to win! (You must be a current TJ member to play along with us.) I will use my random number generator to select a winner on November 15th 2010. Good Luck, and I can't wait to see what you do!